Billy Lynn's Long Halftime Walk DVD and Blu-ray release date was set for February 14, 2017 and available on Digital HD from Amazon Video and iTunes on February 14, 2017. 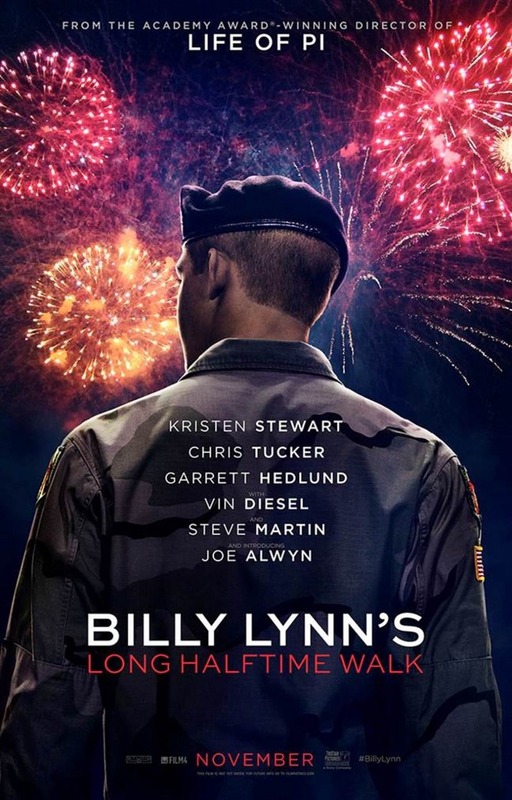 Billy Lynn's Long Halftime Walk follows 19-year-old Billy Lynn as he comes home from Iraq after an intense fight known as the Battle of Al-Ansakar Canal. Billy and his surviving brothers-in-arms are sent on a 'victory tour' which culminates in their squad attending a Thanksgiving Day football game as honored guests. The film will use flashbacks to show the truth of what happened to Billy Lynn in Iraq, a truth that is at odds with the story being told to the public.